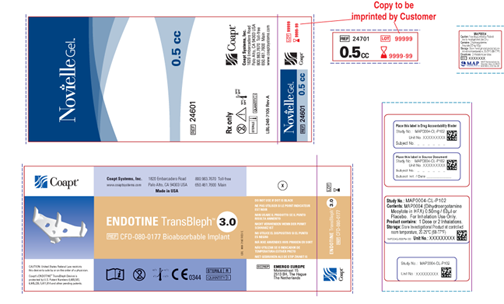 Medical labels are produced in a variety of styles including labels that will contain variable information. These are custom printed in both laser and thermal transfer formats; many with special peelout labels designed as part of the label "cluster". This enhancement can be done for you in any custom layout you require. It allows you to print the variable information in more than one location and peel out smaller labels to be applied elsewhere after the Master label has been applied. We are also doing serialization in house for some medical applications such as blood bag labels.